My friend and fellow blogger Rick Watson has written another book. Titled Remembering Big, Rick is doing more than just promoting his book, he's doing something really cool instead. Rick is donating 100% of the proceeds from Remembering Big to the Dora High School scholarship fund. Dora High is a small school with few resources in Alabama where Rick and his wife Jilda live. 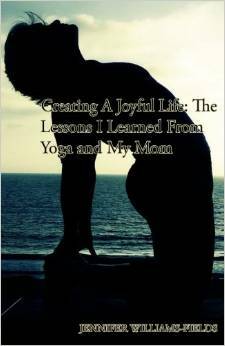 Jilda is also a blogger and fellow yoga teacher. I tried to find my review of Rick's first book Life Happens, but apparently I'm not a very good friend and I never got around to writing a review of it. So I'll tell you now that Life Happens is a collection stories of life in rural Alabama that you don't have to be from the South to enjoy. Rick's writing on both his blog and his book are very relatable and down to earth. Life Happens kept me interested and entertained on a red eye flight all the way home from Los Angeles. One of the things I love most about Rick and Jilda is how humble they are. Not only are they writers and a yoga teacher but they also are song writers. Like legit song writers with songs on the radio. Yet when I was still in shock over my husband walking out on his family, Jilda offered her home to me and my 6 kids as a place to escape and begin to recover. That is compassion in action. Rick and Jilda don't just talk the talk, they walk the walk as well. I don't know too many others who would put the effort required into writing and publishing a book just to give all the proceeds away. But, Rick sees this as a chance to give a kid in a disadvantaged area the chance to succeed. You can purchase Remembering Big here.